Over the last 20 years Professor Canter has been prolific in mapping out the discipline of Investigative Psychology, opening up thinking on the psychology of criminal actions, and the ways in which this can inform police investigations and the courts. Professor Canter is frequently asked to contribute to strategic policing issues at national and international levels. He has provided expert evidence in diverse legal cases of international significance. David’s award-winning (Anthony Award; Crime Writer’s Association Golden Dagger Award) account of the development of the science behind “offender profiling” and key cases using “geographical offender profiling” can be found in his popular books Criminal Shadows as well as Mapping Murder. David Canter’s commitment to the systematic, scientific analysis of human behaviour, which recently earned him one of only 26 prestigious BPS Honorary Fellowships ever awarded across the discipline, emerged from his work on how people act in disasters and emergency situations, from the Kings Cross fire to the Bradford City football ground disaster to the evacuation of the World Trade Center on 9/11. Earlier in his career, Professor Canter played a crucial role in establishing another sub-discipline: Environmental Psychology. He continues to lecture around the world on developments in this field. 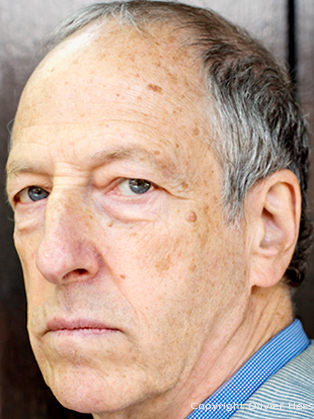 Professor Canter is an Emeritus Professor at the University of Liverpool, a Fellow of The Academy of Social Sciences and an Honorary Fellow of the British Psychological Society. Canter has also wrote and pressented a six part television documentary on Geographical Offender Profilling called Mapping Murder, and has also published a book of the same name.